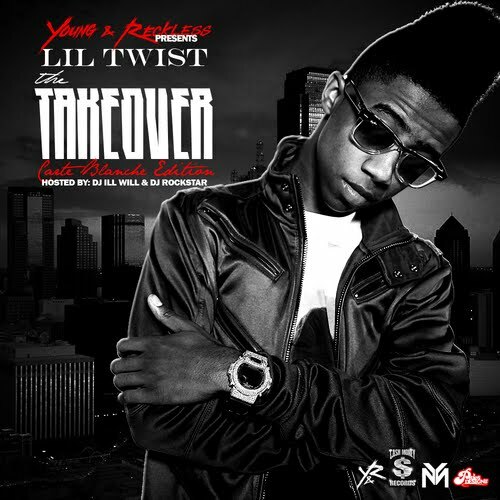 Young Mula’s Lil Twist dropped his new mixtape with DJ Ill Will and DJ Rockstar. Peep the great cover art and how Twizzy is ZShock'n! Download the mixtape here. The young rapper Mac Miller was spotted ZShock'n in his newest video for his song called Senior Skip Day off his acclaimed mix tape that dropped recently called K.I.D.S.. You can download and listed to his mix tape and see why this kid has buzz. Shout out to Mac Miller for knowing to stay I.C.E.D. by ZShock and follow him on twitter at http://Twitter.com/MacMiller or @MacMiller! ZShock's new Galactic Series of custom diamond bezels have officially launched. They are available for purchase on-line at ZShock. 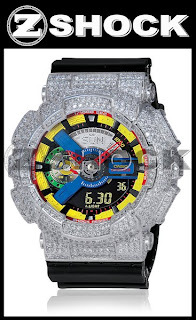 The Galacatic Series are the largest G-Shocks that ZShock has ever customized, the bezel measures 55mm in diameter. These bezels are available in genuine diamonds or high end simulant Ziamonds. They are available set in silver, yellow gold, white gold, rose gold, platinum and even all blacked out metals. Stay I.C.E.D. by ZShock! You see Big Sean, you see the ZShock, nuff said! 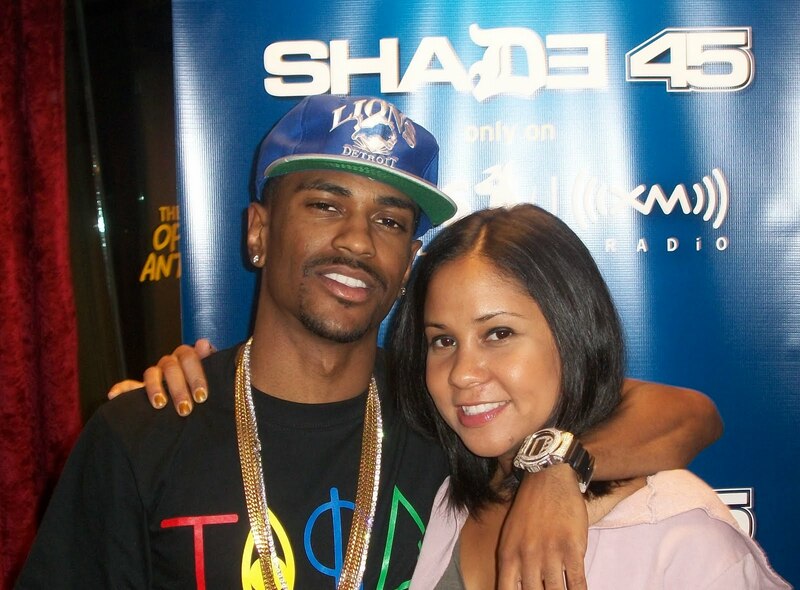 Big Sean was a guest on Angela Yee's show Lip Service 10/14/10 on Sirius Shade 45. Here is a great picture of the both. Recognize that watch? Shout out to both Sean & Angela because they are both official members of #TeamZShock. Stay I.C.E.D. by ZShock! Quincy Brown's new Twitter avatar is a fun picture of him ZShock'n with his QShock. I.C.E.D. by ZShock! The prodigal son a.k.a. 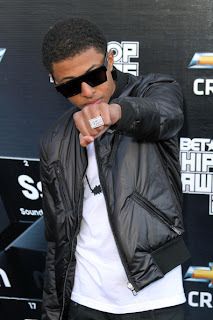 Diggy Simmons is seen here rock'n his custom diamond ZShock Punch Ring on the red carpet of the 2010 BET Awards in Atlanta. Diggy is fast making his presence felt in the Hip Hop game, music and fashion scene. Diggy chooses to rock some ZShock and who can blame him. You can stay up to date with Diggy and his insight via Diggy's blog we think you will enjoy subscribing to it. Shout out to Diggy for showing love and we support his endeavors in fine tuning his craft. Stay I.C.E.D. by ZShock! Here is a picture that shows a good portion of Young Money attending the 2010 BET Awards in Atlanta. The guys look to be having fun and rocking their gear. Notice the ZShock'n going on? 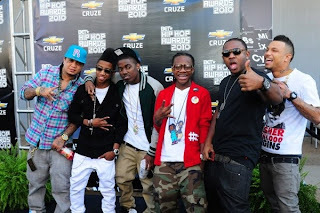 Shout out to the fellas in the pic reppin. Stay I.C.E.D. by ZShock!